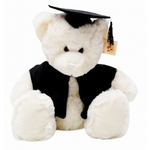 Flip Photo Album for graduates | Graduation Bears and Gifts at discount prices! 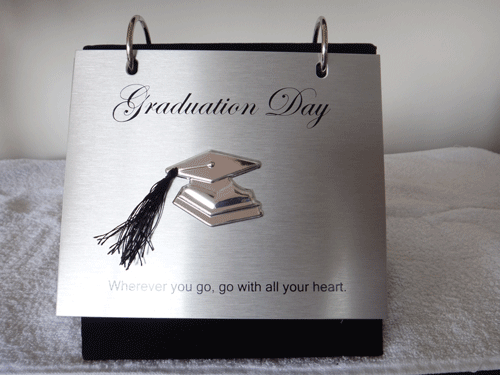 Pewter look front cover has the words Graduation Day written on the top with an attached metal graduation cap with black cotton tassel in the middle of the frame. Words written beneath the graduation cap are "Wherever you go, go with all your heart"
The album can be purchased singly or in bulk quantities. A minimum purchase of 20 applies for a bulk discount.